A kite! 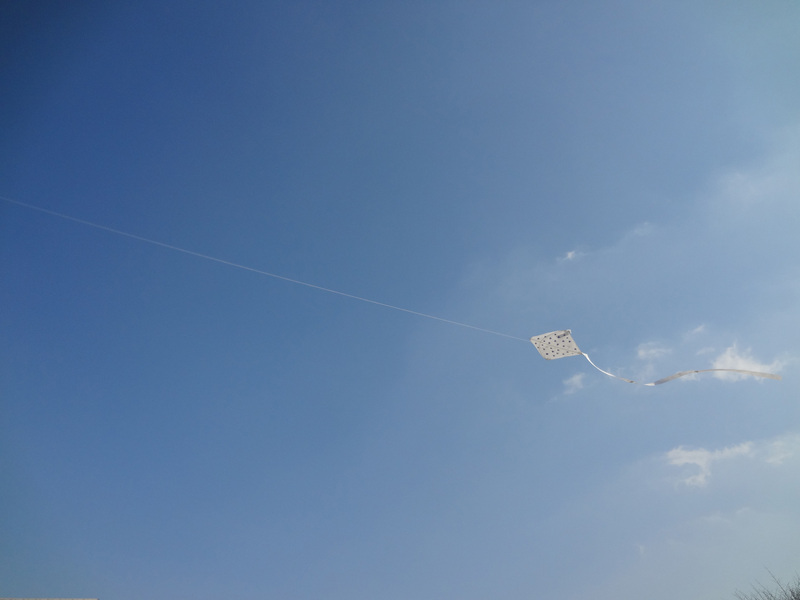 A kite! I adore kites! Today, on the eve of Seollal, the Korean New Year, I went with some friends to Namsangol Hanok Village. 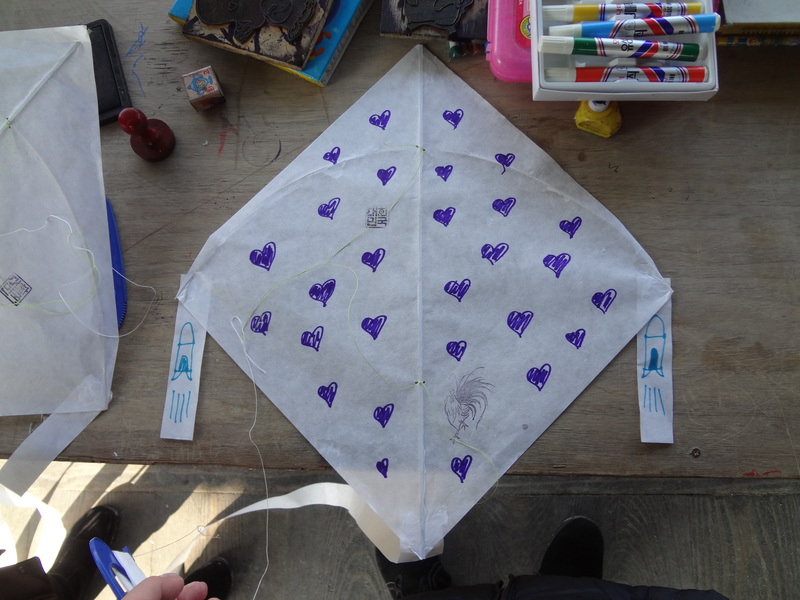 Among other things, I made and flew a purple-hearted rocket-powered kite. 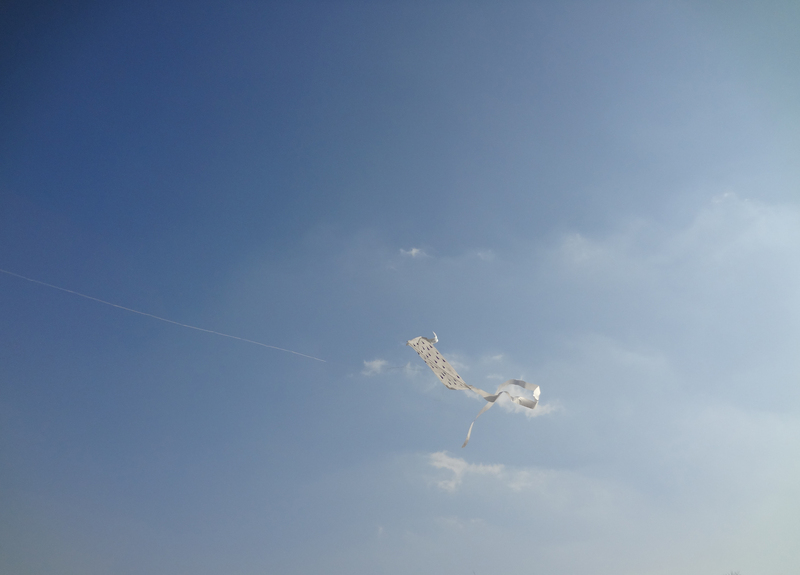 Kite-flying, or yeonnalligi (연날리기) is among the traditional games played during the new year. We had fortunes told, ate traditional Korean food (such as tteokguk), made our New Year wishes, and watched wonderful performances. Purple hearts and blue rockets. It was quite cold and this was the best I could do with freezing hands. Happy Lunar New Year to you all! Gong Xi Fa Cai & Sae He Bok Mani Ba Deu Se Yo! Bring it on, Year of the Snake.